Need more information about booking Home 7290754 ? The Adam apartment is a modern five bedroom apartment with large (55 m2) living/dining/meeting room with Yamaha U1 piano. Sleeping up to seventeen, the apartment is perfect for big groups and families. 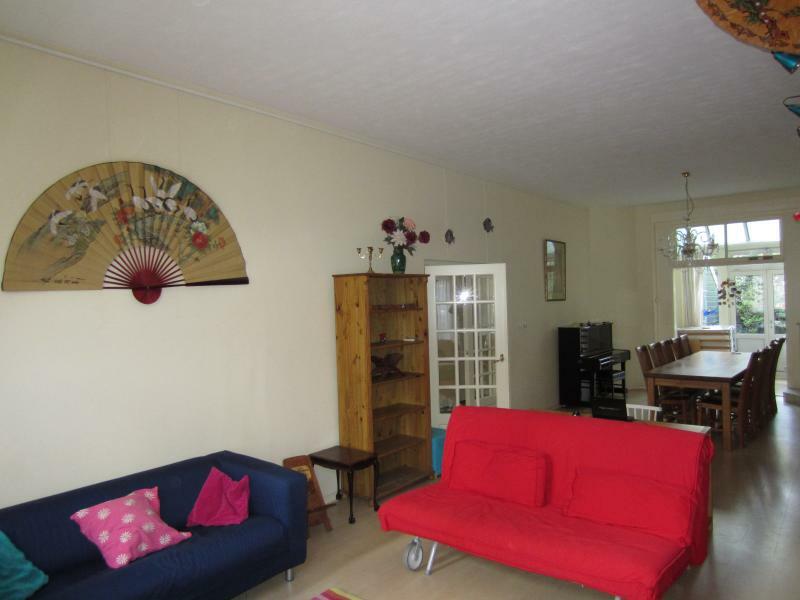 The location is very close to Museum Square (Van Gogh Museum) and is within walking distance of the city center. This apartment is situated on the first two floors. The living room downstairs is bright and spacious. There is a large table capable of seating twelve. The kitchen is fully equipped with an (microwave) oven, dishwasher, coffee-maker, Nespresso and other essential electrical appliances and kitchenware. The first and second bedroom have a double bed (convertible into two single beds). The third has a double bed and a loft bed, the fourth and fifth bedroom all have bunk/loft beds. The bathroom is equipped with a bath, separate shower and two vanities. A garden is behind the house. This apartment is ideal for large groups/families. It also has a small business centre: wired + wireless Internet, color laserprinter, scanner, laminator, shredder. RAI and WTC are within 5 minutes by car.